but how about the options ? Option 2 : Use your Distress inks as watercolors. If you have not tried that yet, you're going to love it. Just press your inkpad on a craft sheet or plastic table mat and pick up the ink with a brush as you would do with watercolors. 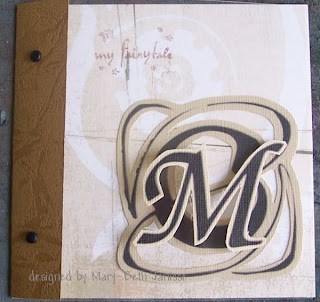 You'll see that the Distress shades are really versatile and perfect for a lot of pictures. If you have some, you can also use the Cut n' Dry nibs, but it's much easier with a good watercolor brush. Try to blend the colors to obtain lots of different shades. 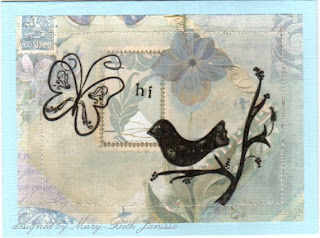 The examples above are an ATC (for the alpha swap I'm doing with my friend Ilka) and a tag in a pocket done for another swap. The boy and the fish on the tag is painted with Distress inks. Make sure you read the "how to participate" before you enter the challenge :o) and I shall see you on Friday to announce the winner :). 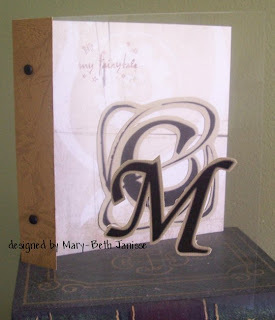 If you don't want to do challenge and option on one single card/tag/ATC/page, please do several. You can enter as many times as you like ! So here's my 1st, I really hope I can get to another one tomorrow, contribution to this challenge. Believe me, it didn't turn out anything like I had pictured in my head! LOL Must remember to do my b/g's before I start sticking things on! No distress inks here, oops I forgot, I have Tattered Rose (not quite blue), so I did the blue option. 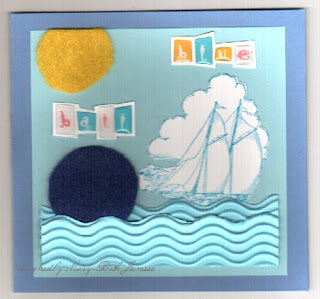 The waves are wavy corrugated 'paper', the ball and sun are felt, Letters are stickers, one of my fav things right now. Thanks too for all the wonderful comments that my friends and visitors have been leaving. 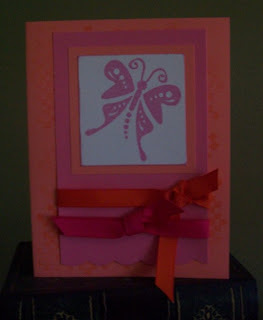 Finally had a few minutes to finish the atc and get it scanned. This is my offering for Isa's latest challenge and I think I'm getting it in just under the wire. LOL I knew I was behind. Can’t wait to see what you come up with ! Have a nice week-end !! 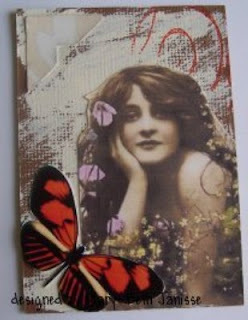 I made this atc by doing up an 'A' background template in The Gimp and printing it out on some green patterned paper, then stamped the verse on patterned vellum and glued it onto the base. Attached 2 octogonal acrylic stickers and ran gold Krylon around the edge. I had a very busy weekend. Did some shopping for a new laser scanner/copier/printer, transfers here I come, LOL and a new sewing machine!! Yeah, I can finally do my own repairs and some fashion sewing that I've been missing for a long time. I also got some felt so I can try some felt art. The entries for dcm felt dare really intrigued me and I want to try to join in the fun. I also got some new Autumn Leaves and Fancy Pant stamps from eBay. Can't wait to get them!! 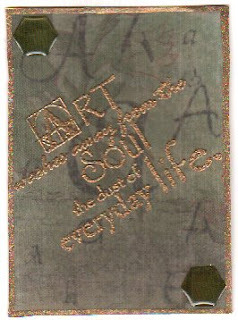 I did get an atc done for Isa's 6th challenge, A, art, green, I just have to scan and post! Food for Thought really made me think! 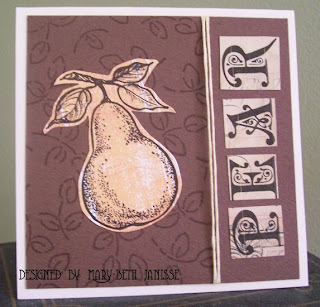 LOL I only have 2 stamps of food and both are pears, one is a little too funky for what I was thinking about doing. I'm not trying to confuse anyone but I'm playing catch-up on the dcm dares and I'm going bckwards. It seems that how I do a lot of things!! LOL Oh well. I can finally do one of Isa's wonderful challenges. 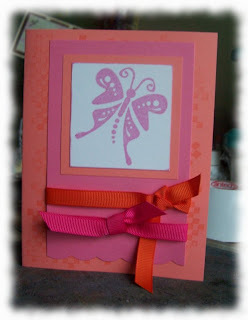 I felt so silly when I tried to do one and realized I didn't use the distress inks that was called for. D'uh!! 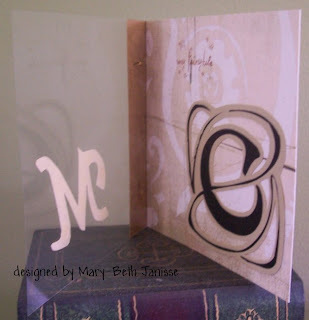 but I finally have a card for my DH for our anniversary! He laughed at me. 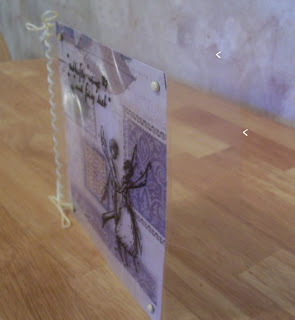 I'm lovin' working with acetate right now. Can you tell?? to all the mothers I know! I hope it's a great day for all. I saw this over on Nancy's site. Total so far: 26 out of 121. Total so far: 34 out of 147. Total so far: 46 out of 200. AND this week is a special week because we have a SPOT PRIZE up for grabs !! All you have to do is show us a card for this dare and you'll go in a draw for a spot prize from the DCM team- we will announce the winner on next weeks dare launch (Friday 11th May) So come on- you really have no excuse now not to join in. 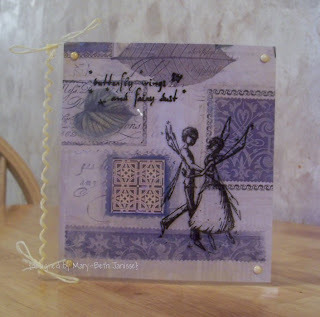 Thank you Jane for encouraging me to play with some of my favourite things ... faeries! 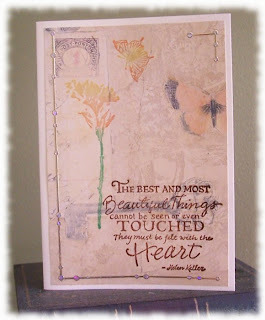 but I got the dcm 'beautiful' dare done! Flowers and B'flies, 2 of the most beautiful things I can think of. Welcome to Tuesday's Tantalizing Little Extra from the DCM! Just before we tell you what our little midweek challenge is, can we just say how utterly stunning all the cards for our Self Addressed Kit Special Sponsored dare have been - we are blown away by the response. Not only is the list of links standing at 24 entries SO FAR, but there are lots more cards on the SA Kit forum's own gallery too. 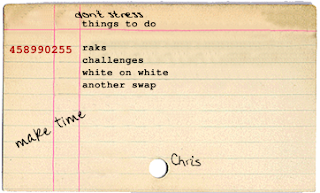 Needless to say there's always room for more, and Friday's new Dare is ages away so you've got LOADS of time if you've not got your card done yet. This has been such a fun dare, and we'd love to see even more cards still! these pics are much brighter and I had a bit of fun with The Gimp! I'm almost caught up! LOL I got my mil's Mother's Day card done and one for ink-stains weekly challenge. 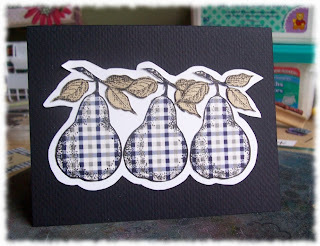 This week it's for a card using black and white and one other colour. I wanted to use this one paper I had that I had never used but it was a little masculine. So, no girly images would suit. 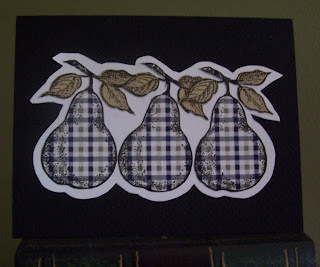 Then I found my pears again! These pics are really dark so I'm going to try to get better onss.